Two pitchers seemingly going in two very different directions as the twilight years of their career have moved from the future to the now met up once again. In years past, when they may have been No. 1 and 1A in terms of starting pitchers in the American League, this would have made Saturday night’s matchup a marquee game on the MLB slate. 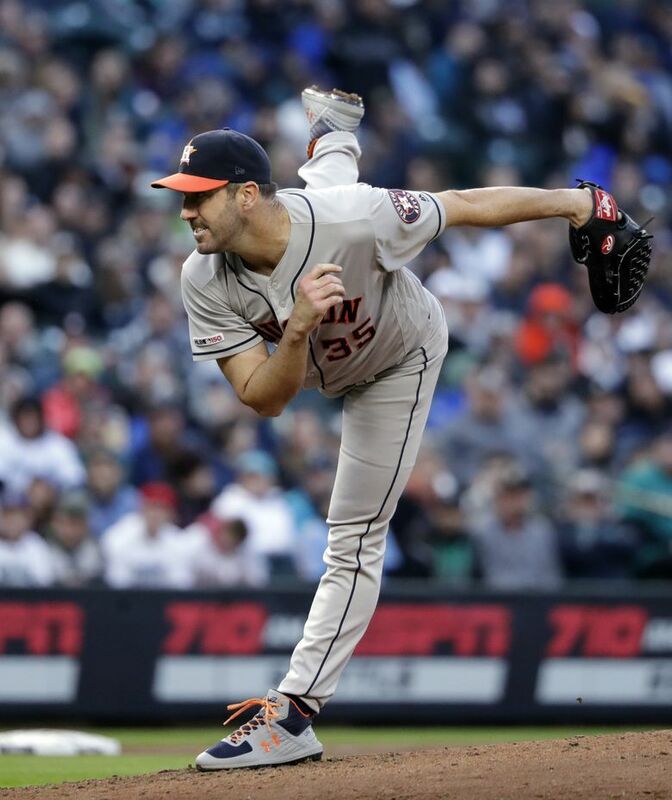 But now as Justin Verlander continues to dominate hitters with a velocity that never completely disappeared – his 105th and final pitch of his outing was 99 mph – his counterpart Felix Hernandez is still fighting a losing fistfight with Father Time and trying to refind something that may no longer be there. His fastball maybe tops out at 92 mph but usually sits at 89-90 mph. 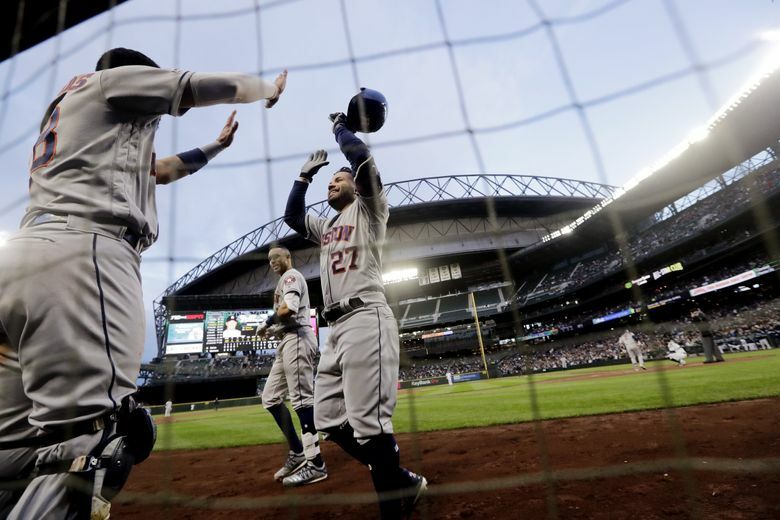 “We’ve been in a few duels, he and I, so it was fun to do it again,” Verlander said. But it’s the perception of their performances in Houston’s 3-1 victory that sort of sums up the juxtaposition of the two pitchers and how it’s all changed. 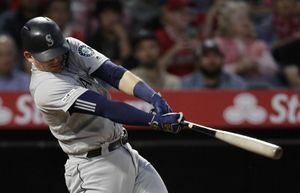 Verlander dominated a Mariners offense that came into Saturday averaging Major League Baseball-best 7.69 runs per game while also leading the American League in hitting (.295), on-base percentage (.366) and slugging percentage (.522). 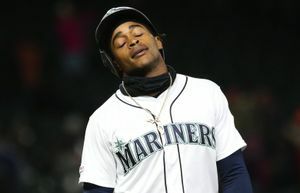 He pitched six strike-filled innings, allowing just one run on two hits while striking out 11 batters and walking none. That sort of outing isn’t a given, but it isn’t unexpected. Meanwhile, Hernandez survived against an offense that has tormented him over the past few seasons. 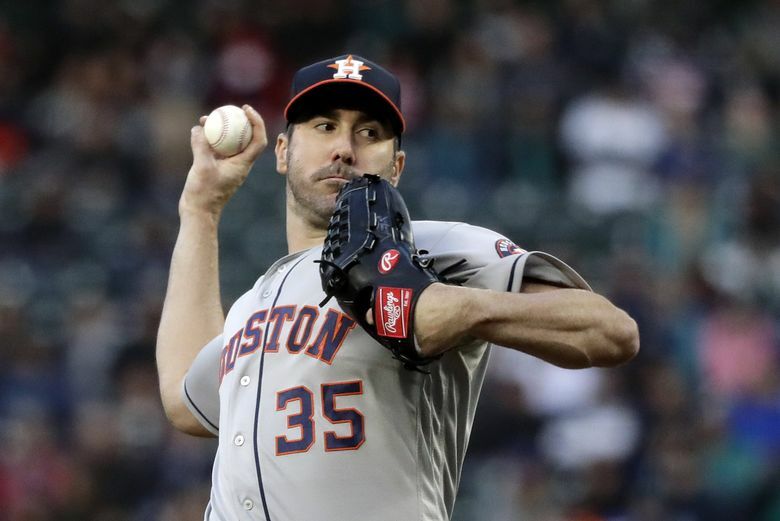 The Astros have perhaps the best team approach against him in the AL, but he pitched six innings, allowing three runs on six hits with a walk and five strikeouts. 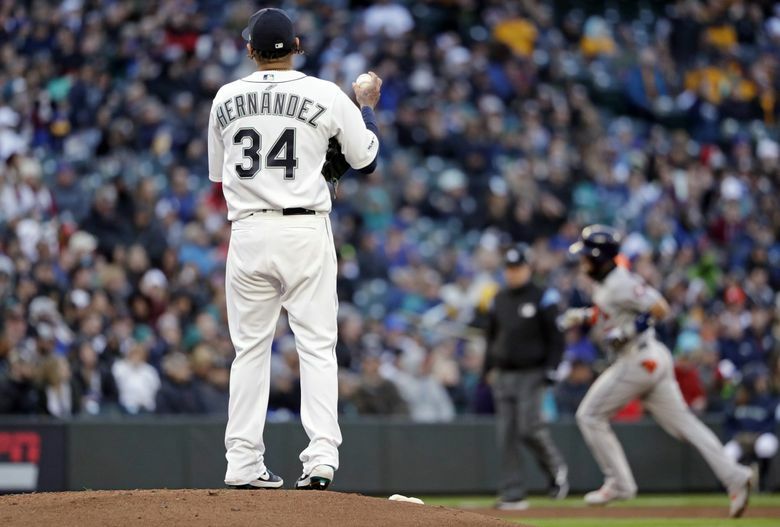 After food poisoning left him puking and weakened in the hours leading up to his previous start, where he exited the game after just one inning because of dizziness, Hernandez delivered a usable outing that left the Mariners hopeful for more. 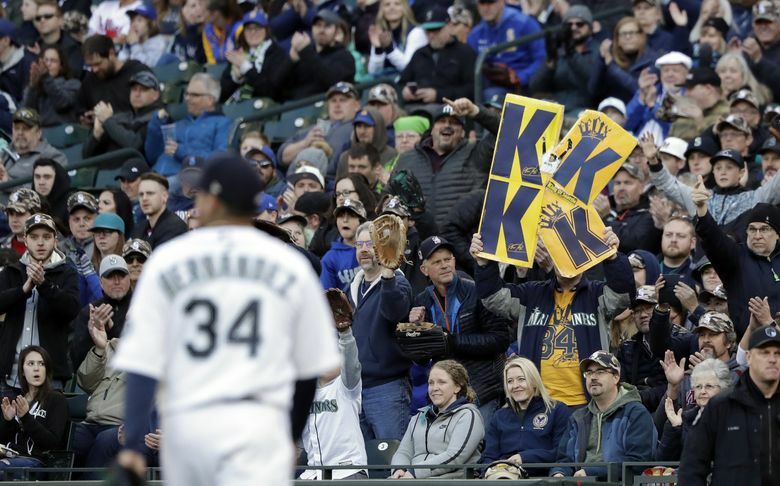 It’s been clear for the past few seasons that Hernandez has been King Felix in name only. The dominant starts he produced during that reign are infrequent occurrences. But the outing he had against the Astros, that’s workable for an offense that is going to score runs. It’s certainly something to build on for future starts. Though he shrugged that notion off. 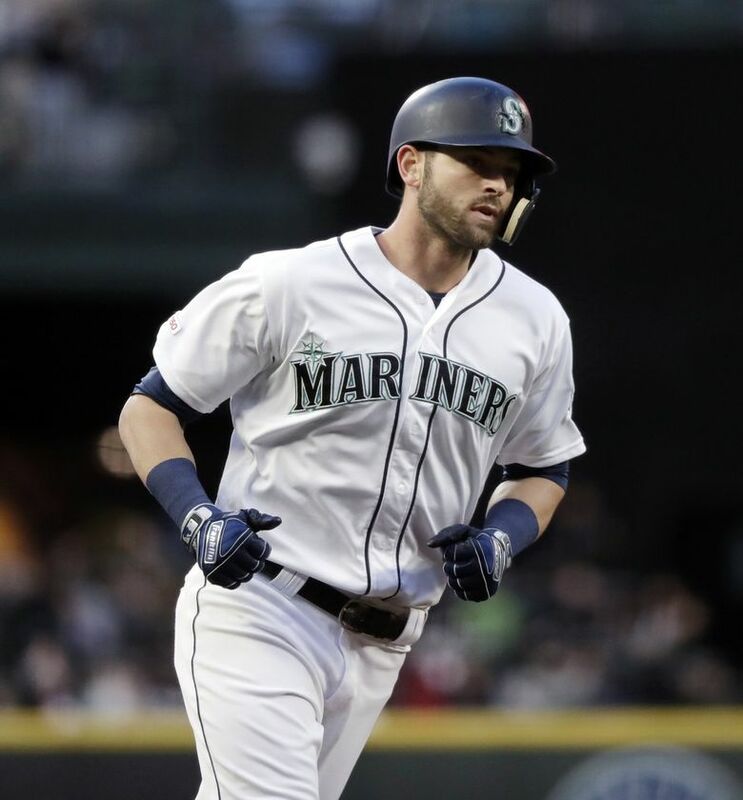 He made a pair of regrettable pitches for home runs and had some bad luck for the other run. After working the first two innings scoreless, Hernandez hung a 1-1 slider to Robinson Chirinos that was turned into a solo homer to start the third inning. The Astros tacked on another run in the inning. Hernandez grazed George Springer with a pitch and Jose Altuve hit a weak ground ball that looked to be going foul but stopped in the infield grass for a single. It helped extend the inning. Later with two outs, Michael Brantley singled up the middle to score a run. Down 2-0 against Verlander seemed insurmountable early on. The Astros ace retired the first 10 batters he faced, striking out eight of them. 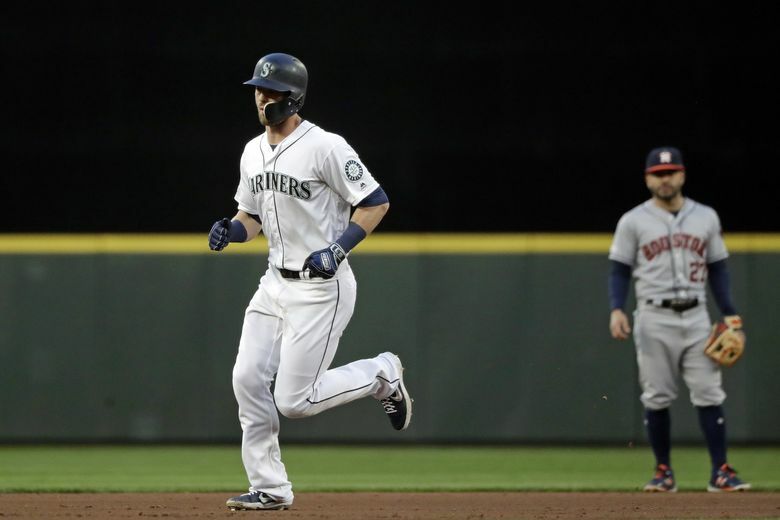 The Mariners’ record-setting home run streak that doesn’t necessarily guarantee or even lead to wins, but may live on forever, was extended to 17 games in the fourth inning. 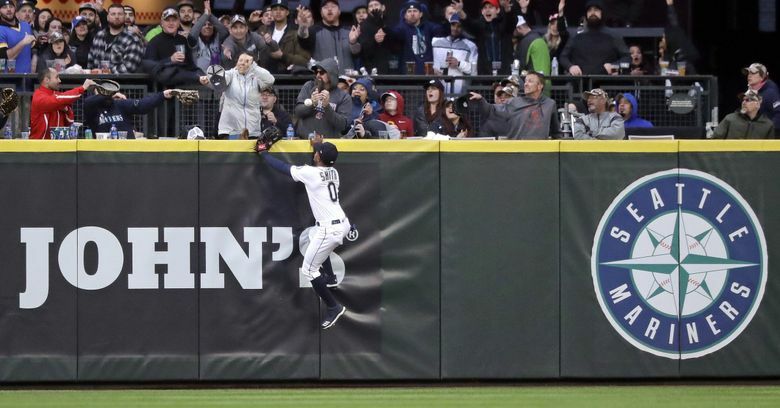 Mitch Haniger jumped on a rare changeup and sent it into the overcrowded mass of inhumanity known as The Pen in center field. 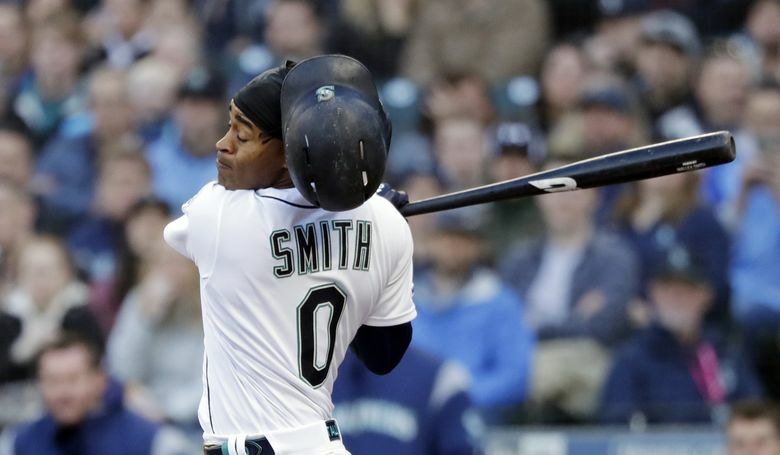 It was Seattle’s first hit off Verlander. 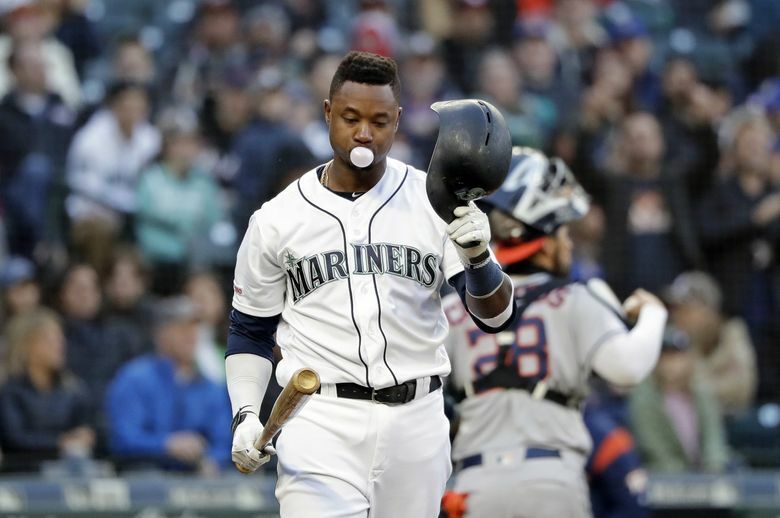 And while the Mariners added to that MLB record of consecutive games to start a season, more importantly it trimmed the Astros lead to 2-1, giving the Mariners a glimmer of hope against Verlander. 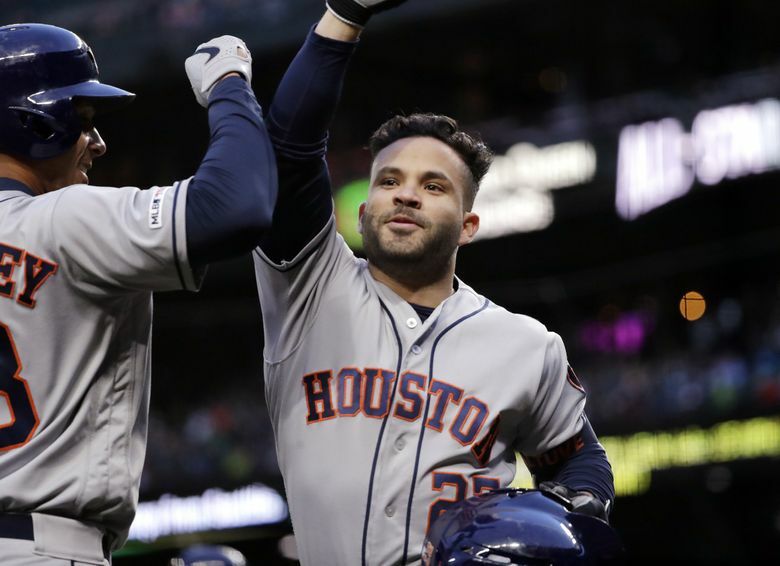 Those hopes were dimmed when Altuve clubbed a solo homer into The Pen in the fifth inning off Hernandez. 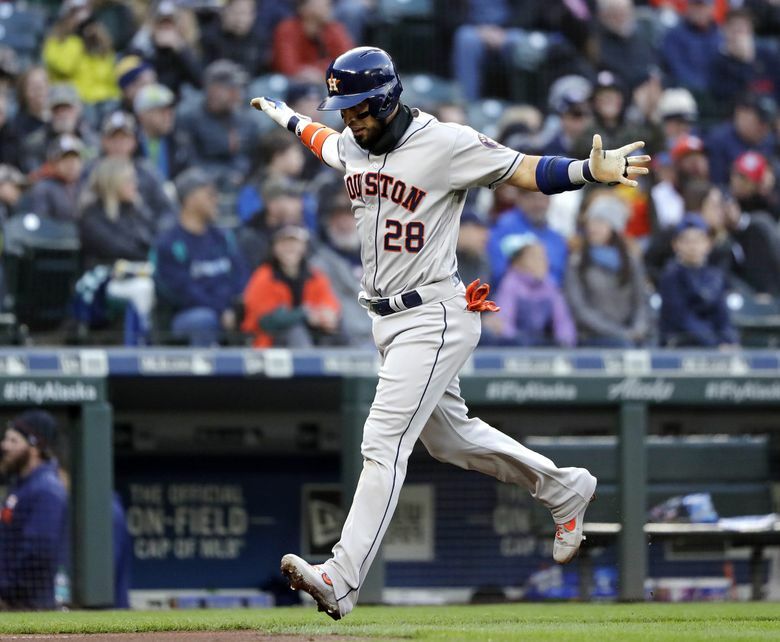 After striking out Altuve on an elevated pitch out of the zone, Hernandez couldn’t do it the third time he faced the former American League MVP. 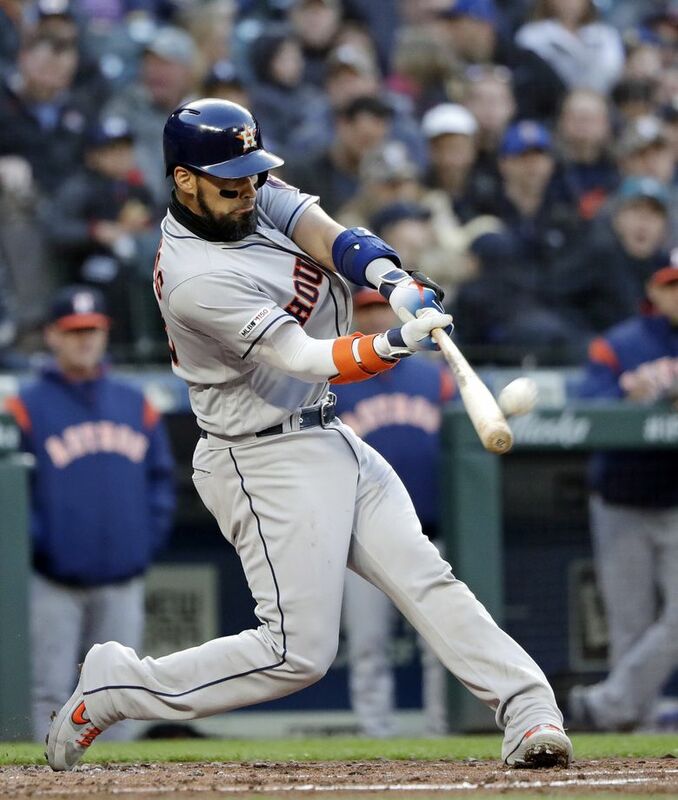 The pitch was elevated in the strike zone and Altuve took advantage of the missed location. “I was trying to go down and away and missed my spot,” Hernandez said. 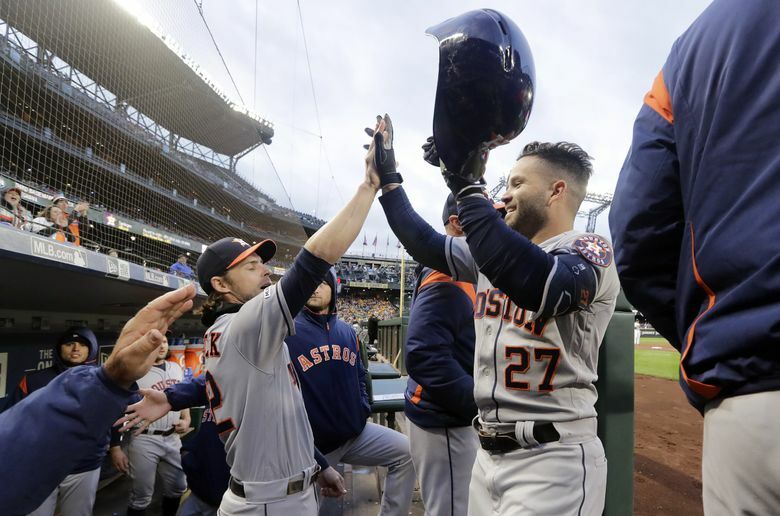 It was Altuve’s 16th hit in 29 at-bats against Hernandez in his career for a .552 batting average. 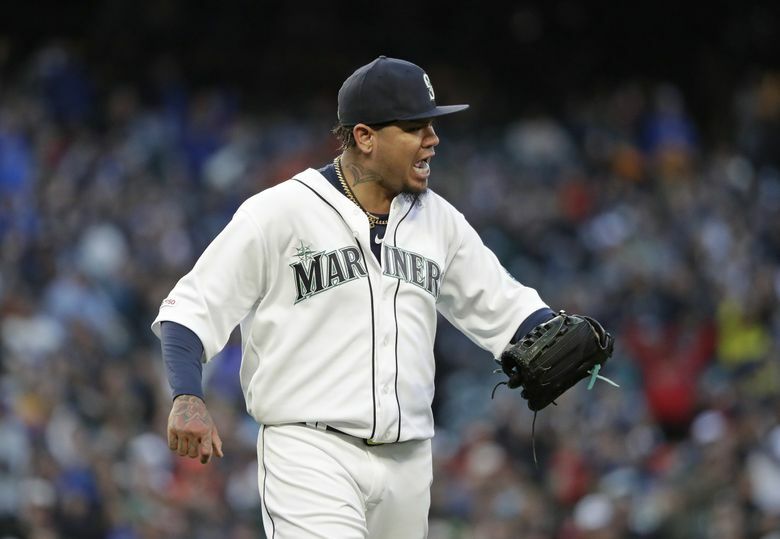 Verlander allowed just one more hit – a ground ball single off the bat of Daniel Vogelbach – in his outing. 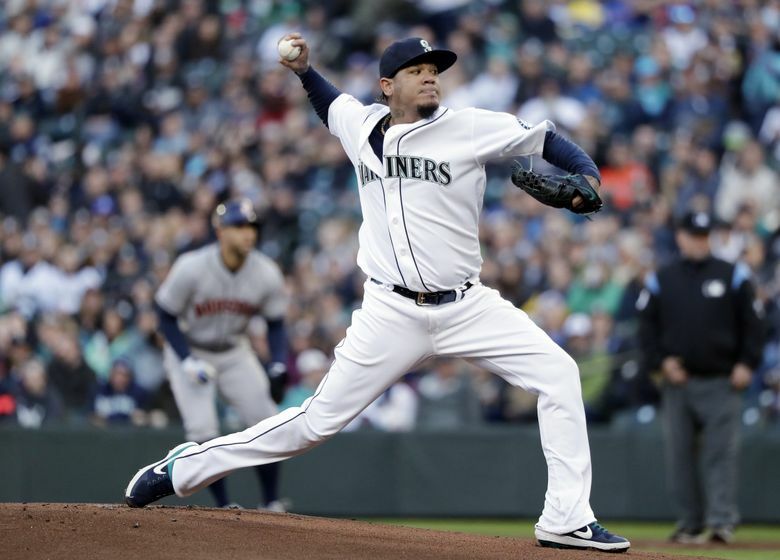 The Mariners looked like they would get another run in the seventh off reliever Will Harris. Vogelbach singled to right and Tim Beckham hit a deep fly ball to right center. 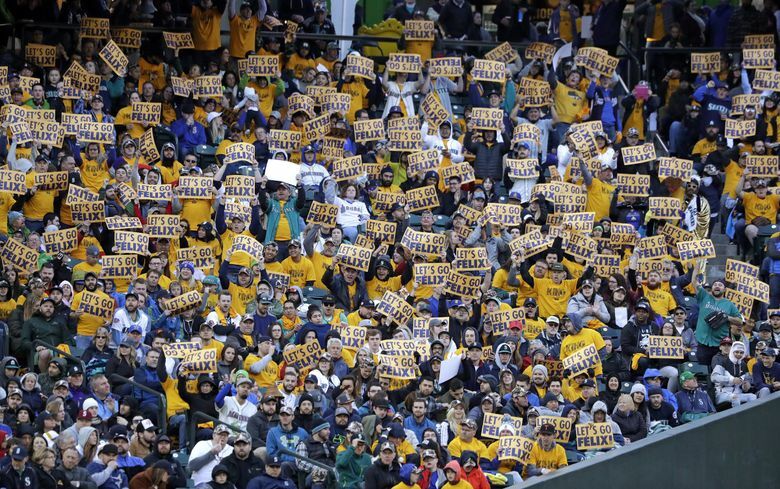 But the ball bounced off the warning track into the stands for a ground-rule double. Had the ball not bounced out, Vogelbach probably would have scored. “I don’t know if I would’ve scored easily, but I was scoring,” he said. 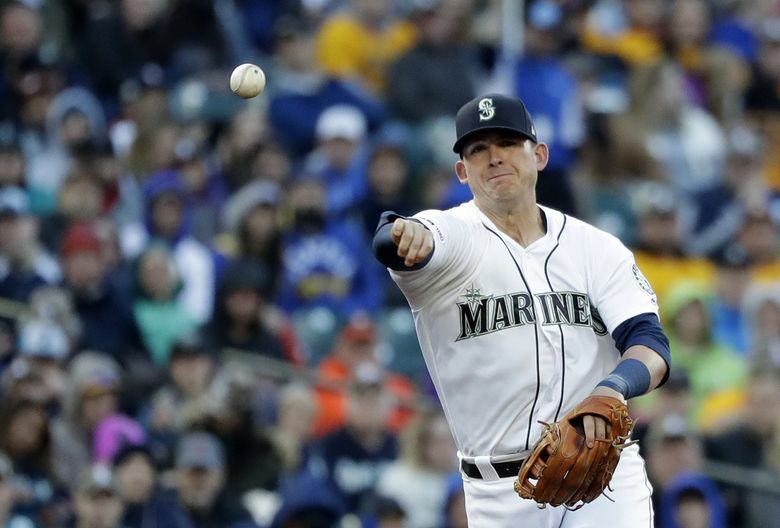 The Mariners got outstanding relief work from rookie right-handers Brandon Brennan (one scoreless inning, one strikeout) and Connor Sadzeck (two scoreless innings, two strikeouts).